A Real Key Cutting Machine. We Have Real Key Makers Near You! Who do you turn to when you need key duplication? How about emergency key duplication, car key duplication, or house key duplication? 1800-Unlocks serves auto, home, and commercial customers throughout the USA region. We feature real, established, family-owned locksmiths who can provide you with key duplication or car key replacement services in a lock shop or on the spot wherever you happen to be in the city. 1800-Unlocks takes your security very seriously. We research and certify our locksmith pros, and guarantee that they offer competitive rates. Our locksmiths have the experience and expertise needed to cut any key. Don’t trust your security to anyone but the best: 1800-Unlocks. Since we have partners in every state, you’re sure to find one of our professional locksmiths nearby. A Sample Of House Keys We Can Cut. If you need emergency key duplication, contact us for our emergency service. We feature locksmith branches throughout the USA. Remember, if you take your key to your dealer, you’re going to pay a premium rate for new keys. 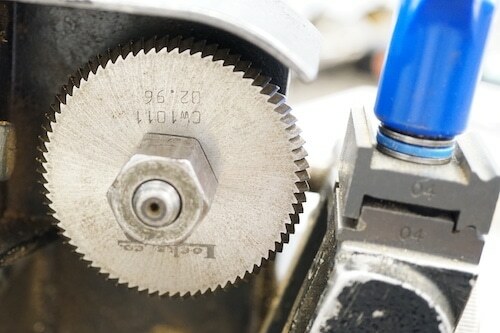 By contracting with 1800-Unlocks, you’ll get professional key duplication at a fair price. Our technicians always double-check the keys they duplicate and expect them for any flaws. Their goal with every duplication is perfection. That’s what you can expect when you hire 1800-Unlocks for all your locksmith needs. 1800-Unlocks offers key duplication services for any make or model vehicle. Our locksmiths take pride in their craftsmanship. If you take your key to a local hardware store for duplication, you never know if an untrained operator is performing the task. 1800-Unlocks takes your security seriously. 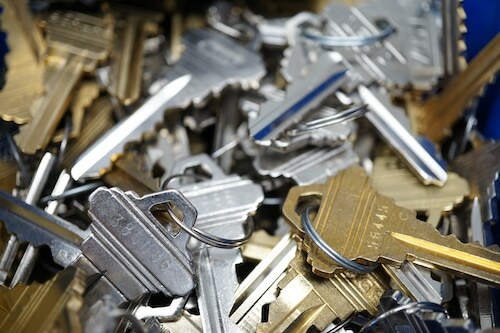 You can rely on our professionalism and expertise whether you need one key or several. If you need a locksmith in most states in the USA, remember that 1800-Unlocks is a leading service provider. We feature licensed locksmiths and certified technicians who deliver all of our residential, commercial, and auto services. If you’re stranded on the road with a broken car key or have locked your keys in your vehicle, call 1800-Unlocks. We also offer emergency mobile locksmith service. Plug our number into your smartphone so you can contact us when you need us!